Sidhant was a part of our combat malnutrition project with Tata Motors. 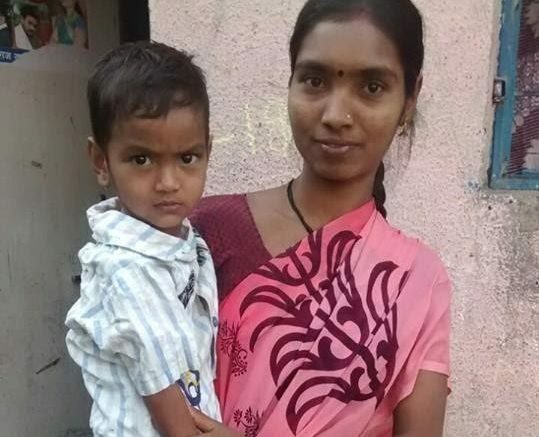 Siddhant belongs to poorest of the poor family and at the time of project enrollment, his parents were not able to provide even a 2-course meal to the kids. The family had every possible social problem on the radar with an abusive father and anemic mother. Sidhant was suffering from chronic malnutrition and used to survive on leftover food. After the therapeutic and medical intervention, Siddhant showed tremendous weight gain and moved to healthy zone. SNEH team worked hard to counsel the father of Siddhant along with the mother. While it was comparatively easy to give direction to the mother, it took our team a lot of time to get the father onboard. After continuous efforts mother and father have now become aware and concerned about the health of their kids. Father is now working hard to provide for his family. This case is an example that constant intervention leads to positive results.